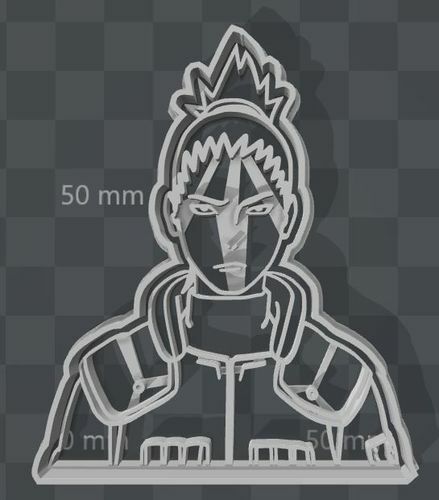 This will allow you to make cookies in the shape of Shikamaru of the Nara family, the clever Ninja who uses Shadow Imitation Technique from NARUTO! It contains the outer shell that cuts the shape and the inner stamp that will make the intricate details. You should use the handle, glues on the back of the inner stamp to make the procedure much easier. I will take orders for your own cookie cutter hero design.